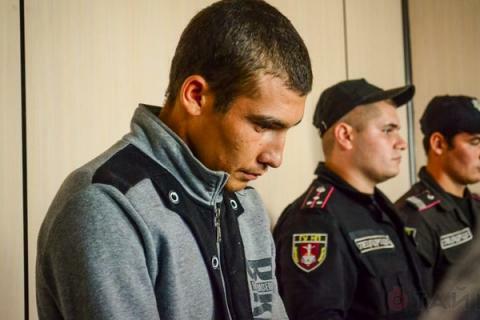 A suspect in the murder of an eight-year-old girl in the village of the Loschynivka, Izmail district, Odesa region, has been remanded in custody for 60 days, the Izmail town district court ruled on Monday. A number of forensic tests are due to be carried out as part of the criminal inquiry, a spokesperson for the Odesa regional prosecutor's office said on Monday. It was reported that the girl's murder, of which the police suspect a 21-year-old man from the Roma community, led to mass riots in the village. On Sunday residents resolved that all representatives of this ethnicity must leave the village. The rural council backed the resolution. Ukrainian police have launched a criminal inquiry on the "premeditated murder" charge. On Sunday the local Roma residents agreed to leave Loschynivka. The Roma community decided that after what happened they would no longer be able to live a quiet life in the village, and so a compromise was reached that they would move to other populated areas across the district. The police undertook to protect the Roma residents who lived in Loschynivka so that they could safely pack and move their belongings. However, on Monday the Roma refused to go back to the village because, as they said, they had already taken all they need and valuables when they left a couple of days ago.